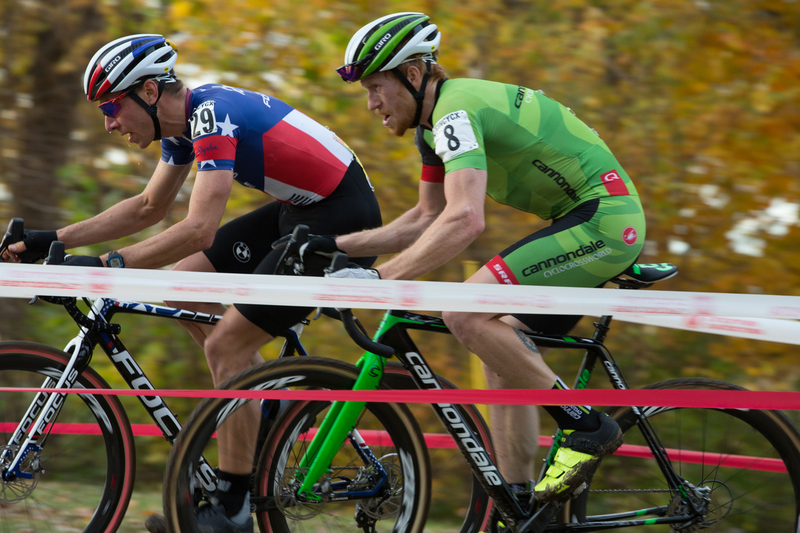 Saturday – When the dust settled on Day 1 of the Cincinnati Cyclocross and Pan-Am Championships weekend, Stephen Hyde and Ryan Trebon finished 2nd and 3rd respectively. Early digs from Stephen looked like he might stay with a very dominant Jeremy Powers but after a slight bobble the gap became too much. For his part Ryan dug deep and pushed his way into the front three after a slower start on the wide-open course. With terrain suited to Trebon including some fast flowing lines and plenty of room to pass, the lanky Cannondale p/b Cyclocrossworld.com rider powered to the podium. Teammate Curtis White started strong but appeared to be off his game a touch. A consummate racer, White dug deep to land a top ten finish. In the women’s race, Kaitie Antonneau continues to impress as a racer. 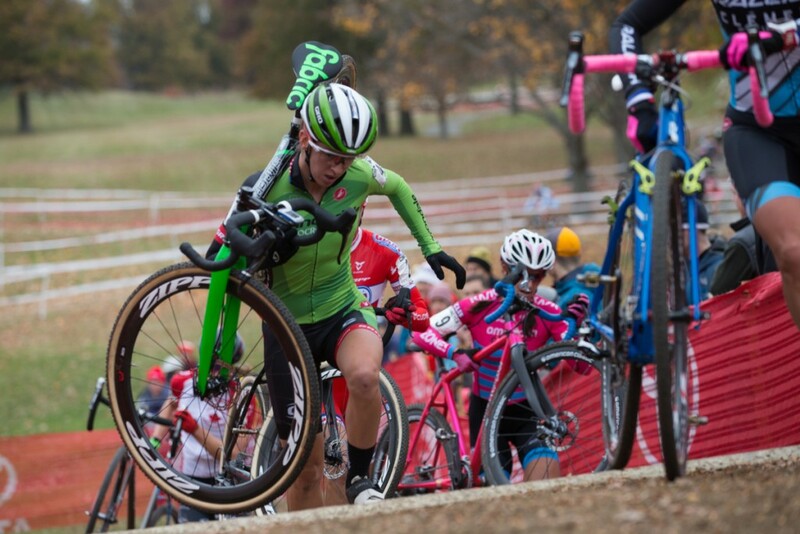 When consistent favorite, Katie Compton rolled off the front, Kaitie settled into a rhythm win an eye towards saving something for Sunday’s more technical race, a course more suited to her talents. Day 1 saw Kaitie notch a solid fourth. Sunday was marked by punchy climbs, wicked drops and sweeping turns on a course that required constant attention. Overnight rain to made it greasy and tire choice was critical with most riders opting for Challenge Limus front and rear. Curtis White started strong in the U23 Pan-Am event and was joined by Andrew Dillman (Cyclocross Network Racing). The two distanced themselves from the pack and built a solid lead over the field before Curtis came unglued with 4 laps to go and Dillman cruised to a well deserved first place. The course was great for Kaitie Antonneau and she showed just how much she liked it with an impressive 2nd behind a hard-charging Katie Compton. Antonneau battled most of the day with perennial competitor, Georgia Gould before Gould suffered a mechanical and dropped back. It had dried out a bit by the time Trebon and Stephen went off in the men’s elite field. Hyde blasted to the front with Powers but attack after attack from both riders took its toll and Heyde crumbled. The efforts proved to showcase the best national caliber racing of the year with the sharpest efforts thrown in the final lap of the ten-lap event. Trebon overcame a late race puncture to finish sixth.